When used correctly, search engine optimization, otherwise known as SEO, provides the opportunity for your company's website to rank much higher in the list of search results when specific search terms (i.e. keywords or phrases) are entered into search engines such as Google, Yahoo, Bing, etc. The higher your website appears in the list of search results, the more likely it is to be seen by a significantly larger number of consumers. SEO is an invaluable tool to utilize when trying to gain customers. Unfortunately, the majority of small business owners do not understand how to best optimize their content and overall online visibility, which means that they are missing significant opportunities on a daily basis. Luckily, there are a number of ways in which you can increase your search engine visibility. Remember that your competitors (both established companies and new entrepreneurs) are also constantly focused on becoming more visible online, and they are actively trying to prevent you from claiming that top spot on the list of search results. Below are a few tips and tricks that will help you to improve your website's visibility and increase its overall search-friendliness. Think About Your Title Tags: These appear in the title bar of your browser window, rather than on the actual web page. This is very important, as your title tags directly contribute to how well you rank in online searches. Think about how a potential customer would search for your product, and incorporate those keywords in your tags. Remember to save you company's name for the end though, unless you have a large, well-known brand. Also, remember that each page of your website is separate, which provides you with numerous opportunities for different keywords (meaning endless opportunities for search engines and thus, customers, to find you). Try to use a descriptive, unique title on each of your pages. Links are Important: You should aim to have a variety of incoming links located throughout your website, as search engines eat these up, considering them similar to a "vote of confidence" for your website. This can be accomplished in a variety of ways: by listing your website in established directories; marketing your articles and press releases; and creating unique, "link-worthy" content that others will want to publish. Your Domain Name Matters: If possible, purchase your own URL so it becomes established (and no one can take it in the future). Also, utilize keywords and create a domain that is easy for consumers to remember. Do Not Use Flash Navigation: While it might look great, flash navigation should not be utilized for navigating on your website, especially on the homepage. You might as well tell all of the search engines that they are not invited to the party. Start a Blog: Make sure that you post new entries at least once or twice each week. If this is too daunting of a task, add informative articles to your website on a monthly basis. Each article counts as a new page as far as Google is concerned which means that by consistently adding new content, you are seen as a growing business which Google likes. Then, take it a step farther by making your articles informative. Doing so adds even more SEO value and also provides your business with added credibility when you portray your company as an expert in your field. So forget writing fluff content and get down to the business of writing about business. Determine How Consumers Found You: This is pretty simple; all you need to do is ask. Figure out specific words and phrases that your viewers used, and then type those into various search engines to see what comes up. By asking your consumers what they were searching for when they stumbled upon your website, you can get a better idea of how to taper your website to the clientele you're looking for, and you can also address specific questions and concerns in your blog or FAQ page. Engage in Social Media: By continually interacting with various types of social media outlets including Facebook, Twitter, Instagram, etc., you'll be able to hone in on specific keywords, phrases, and topics that are interesting to your customers. The more visual you are on social media, the quicker you build a brand of followers. The idea is to expand your target audience so you have to engage the consumers where they are and that is on social media. 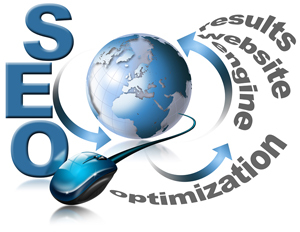 Bottom Line: Search engine optimization is invaluable in helping your customer base locate your website. SEO matters. If all of this has left you with more questions than answers, consider hiring an SEO expert to get your website up and running in the search engine race to the top of searched results. Your business will not magically appear on the first page of Google, so do what you can to optimize your chances by educating yourself and bringing in an SEO pro to help you.